Dancehall artiste Michael Okine, popularly referred to Jupiter in showbiz, is alleging the media favours some artistes above him. Jupitar, who claims to have just returned from ‘Red Bull Culture Clash’ in South Africa expressed worry that not many media houses reported his exploits as the only Ghanaian featured on that bill. The show according to him, also featured Nigeria’s Patoraking and Davido, South African rapper Nasty C, Jamaican Reggae/Dancehall act Beenie Man and many others across the globe. “I believe media houses have their favourites. That one is too real, that’s the reality and that’s a fact,” he said. The ‘Enemies’ hitmaker has bagged another feat as the only Ghanaian nominee for the 2017 edition of the Urban Music Awards in the UK slated for the November 30. The video for his single ‘Clown’ released in January is in the Best Video of the Year category. 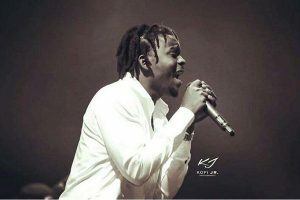 Jupitar has also been nominated alongside Nigeria’s Wizkid, Mr. Eazi, Tekno, Tiwa Savage, Yemi Alade and many others from other African countries in the Artist of the Year category. He, however, would not mention which artiste has been favoured by the media over him. “I don’t want to point fingers or put out some names which might be a problem. I know mostly people find diverse ways of understanding what we say. It might end up looking like you are envying somebody,” he said. Jupitar is, however, relying on his fans and well-meaning Ghanaians to win the award.